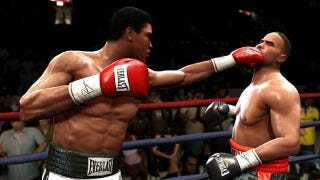 The only thing better than beating up famous boxers in EA's Fight Night Round Four? Beating up your friends, family, and yourself. Somehow I don't think people will be limiting their custom boxers to themselves when Fight Night Round Four comes out on June 23rd. Not when you can use both your USB camera and photos uploaded to EA in order to create the face you'll be beating the tar out of. Celebrities, bosses (not mine of course! ), ex-girl and/or boyfriends...the list goes on. This is going to be one hell of a cathartic game.